Vultures in India, Pakistan, Nepal and other South Asian countries have been decimated from being the 'most common large bird of prey' just two decades ago, to hovering at the brink of extinction. 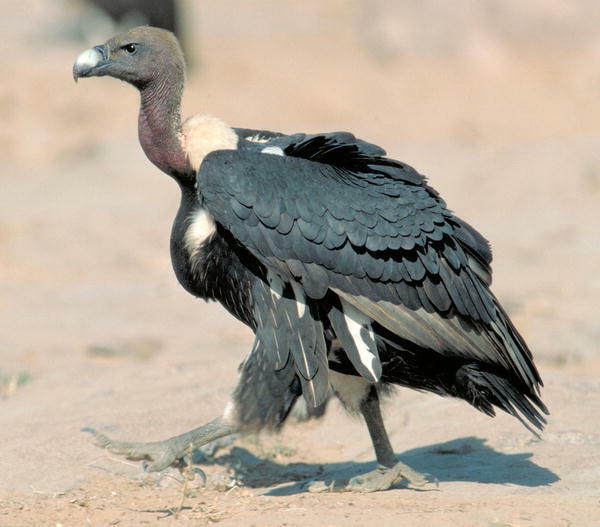 More than 95 % of the vulture population has disappeared, before we took notice. The reason is an anti-inflammatory drug, commonly used in livestock, such as cows. The drug's residues destroy the liver of the birds that feed on the carcasses of treated animals. The cause of the great dying was found just over a year ago, according to a BBC report, which fingered diclofenac, a non-steroidal anti-inflammatory drug whose veterinary use on livestock in South Asia has grown rapidly in recent years. The Indian government is in the process of prohibiting the use of diclofenac on livestock. A paper recently published by the Public Library of Science (PLoS Biology) proposes to switch to another, less damaging anti-inflammatory: meloxicam. When fed to vultures, the drug did not have visible negative effects. Another possible way of protecting wildlife - not only the vultures we see vanishing in the space of a mere decade or two - would be to switch not drugs but agriculture, to change from the chemical paradigm prevalent today to biological agriculture, where life is not exposed to potentially deadly toxins. But that does not seem to be part of the Indian authorities' plans, at least for now.